LONDON, Dec 6 (Reuters) - Arabs and Muslims across the Middle East on Wednesday condemned the U.S. recognition of Jerusalem as Israel's capital as an incendiary move in a volatile region and Palestinians said Washington was ditching its leading role as a peace mediator. The European Union and United Nations also voiced alarm at U.S. President Donald Trump's decision to move the U.S. Embassy in Israel to Jerusalem and its repercussions for any chances of reviving Israeli-Palestinian peacemaking. Major U.S. allies came out against Trump's reversal of decades of U.S. and international policy on Jerusalem. France rejected the "unilateral" decision while appealing for calm in the region. Britain said the move would not help peace efforts and Jerusalem should ultimately be shared by Israel and a future Palestinian state. Germany said Jerusalem's status could be resolved on the basis of a two-state solution. Israel, by contrast, applauded Trump's move. Prime Minister Benjamin Netanyahu said in a pre-recorded video message that it was "an important step towards peace" and it was "our goal from Israel's first day"
He added that any peace deal with the Palestinians would have to include Jerusalem as Israel's capital and he urged other countries to follow Trump's example. Trump reversed decades of U.S. policy in recognizing Jerusalem as Israel's capital in defiance of warnings from around the world that the gesture risks creating aggravating conflict in a chronically volatile Middle East. The status of Jerusalem is home to sites holy to the Muslim, Jewish and Christian faiths; its eastern sector was captured by Israel in a 1967 war and is claimed by Palestinians for the capital of an independent state they seek. Israel deems Jerusalem its eternal and indivisible capital dating to antiquity, and its status is one of the thorniest barriers to an elusive Israeli-Palestinian peace. Palestinian President Mahmoud Abbas, in a pre-recorded speech, said Jerusalem was the "eternal capital of the State of Palestine" and that Trump's move was "tantamount to the United States abdicating its role as a peace mediator." The last round of fitful peace negotiations brokered by Washington collapsed in 2014. 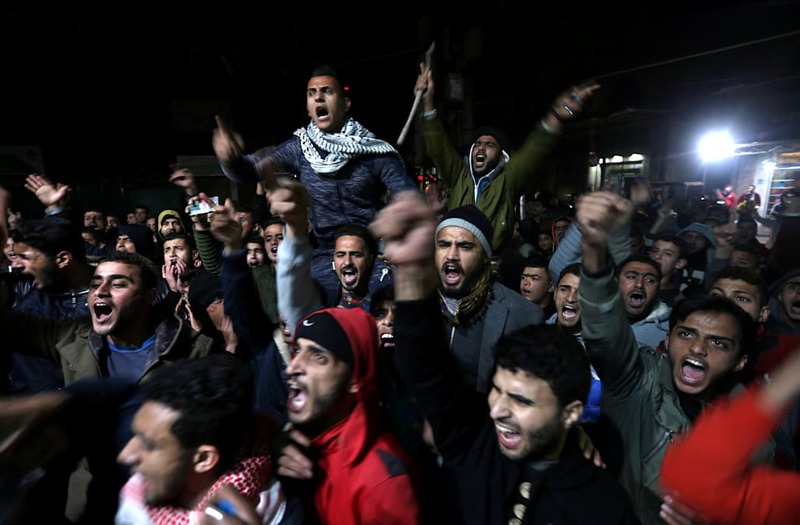 The Palestinian Islamist group Hamas, which had dominated Gaza since soon after Israel ended a 38-year occupation of it in 2005, said Trump had committed a "flagrant aggression against the Palestinian people." Hamas urged Arabs and Muslims to "undermine U.S. interests in the region" and to "shun Israel." Lebanese President Michel Aoun said the Jerusalem decision was dangerous and threatened the credibility of the United States as a broker of Middle East peace. He said the move would put back the peace process by decades and threatened regional stability and perhaps global stability. Qatar's foreign minister, Sheikh Mohammed bin Abdulrahman al-Thani, said Trump's undertaking was a "death sentence for all who seek peace" and called it "a dangerous escalation." Egypt, which forged the first Arab peace deal with Israel in 1979, rejected Trump's decision and said it did not change Jerusalem's disputed legal status. Jordan, the second Arab state to make peace with Israel, in 1994, said Trump's action was "legally null" because it consolidated Israel's occupation of the eastern sector of the contested city in the 1967 Middle East war. Turkey's said Trump's move was "irresponsible." "We call upon the U.S. Administration to reconsider this faulty decision which may result in highly negative outcomes and to avoid uncalculated steps that will harm the multicultural identity and historical status of Jerusalem," the Turkish foreign ministry said in a statement. 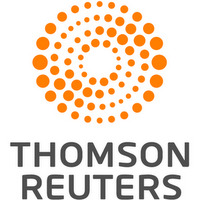 Several hundred protesters gathered outside the U.S. consulate in Istanbul, a Reuters cameraman at the scene said. The protest was largely peaceful, although some of the demonstrators threw coins and other objects at the consulate. Iran "seriously condemns" Trump's move as it violates U.N. resolutions on the Israel-Palestinian conflict, state media said. Supreme Leader Ayatollah Ali Khamenei said earlier that the United States was trying to destabilize the region and start a war to protect Israel's security. French President Emmanuel Macron said he did not support Trump's "unilateral" move. "This decision is a regrettable decision that France does not approve of and goes against international law and all the resolutions of the U.N. Security Council," Macron told reporters in Algiers. "The status of Jerusalem is a question of international security that concerns the entire international community. The status of Jerusalem must be determined by Israelis and Palestinians in the framework of negotiations under the auspices of the United Nations," he said. "France and Europe are attached to a two-state solution - Israel and Palestine - leaving side by side in peace and security within recognized international borders with Jerusalem the capital of both states," he said, adding that Paris was ready to work with partners to find a solution. "For now, I urge for calm and for everyone to be responsible. We must avoid at all costs avoid violence and foster dialog," he said. U.N. Secretary-General Antonio Guterres said there was no alternative to a two-state solution between Israel and the Palestinians and that Jerusalem was a final-status issue that should be resolved through direct talks. "I have consistently spoken out against any unilateral measures that would jeopardize the prospect of peace for Israelis and Palestinians," Guterres said. "I will do everything in my power to support the Israeli and Palestinian leaders to return to meaningful negotiations."